Cleaning a carpet can be a rather tedious process. It can involve plenty of steps; it can be quite time consuming and can also wear you out. Perhaps the worst of the bunch would be steam cleaning, as far as complexity goes. However, unlike most other types of cleaning such a stain removal and odor removal among others, it cleans the carpet in just about every single way. Eventually, carpets get dirty as time goes on, and if there is a good amount of carpet maintenance there will normally never be a need to utilize steam cleaning. However, for those who allow their rugs and mats to accumulate too much stains, dust and dirt there is often no choice but to apply steam cleaning. It can be a lot of work, but the results are well worth the effort. 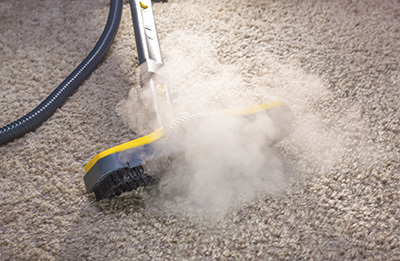 There are plenty of benefits to steam cleaning which we over at carpet cleaning San Gabriel can swear by, and it all tends to point toward one thing – overall effectiveness. There are indeed many different ways to clean one’s floorings, but they are mostly concentrated on a single thing. This can include but isn’t limited to mold removal, deodorizing and so on. Steam cleaning on the other hand is guaranteed to remedy the problem overall. It can remove stains as well as mold and even some types of damage. All of the dirt which accumulated in the carpet and don’t seem to want to come off no matter how hard you try to clean it, will be gone by the time the carpet is fully steamed and dried. It is basically the last resort for anyone who wishes to clean their all-around dirty floorings. While conventional cleaning methods can still clean stains, dirt and grime, consider steam cleaning if you feel like nothing works.